Sire: Splitrock's Maybe I'm Amazed "Maze"
Margarita has a very nice, dense fawn coat and is an excellent mother. 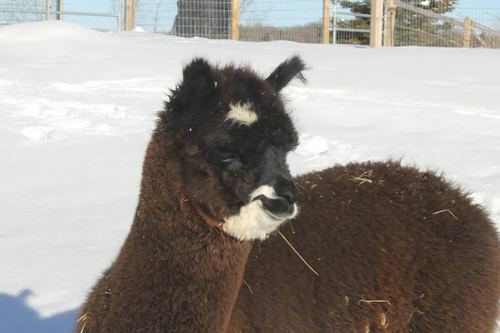 She is a very inquisitive and intelligent alpaca - usually the first to find new feed, hay, and notice any changes in the fields or barns. Margarita had a handsome boy (Victory's Amazing Murphy), sired by Splitrock's Maybe I'm Amazed "Maze", on July 5, 2014. Murphy has exceptionally nice true black fibre. Margarita also produced a fine female cria in 2009 - Miss Magic - sired by SSA Sunset Riley. 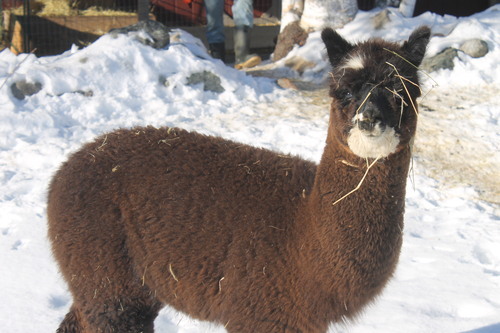 Murphy has great black fiber and he features a very distinctive white "Harry Potter" lightening bolt on his forehead. 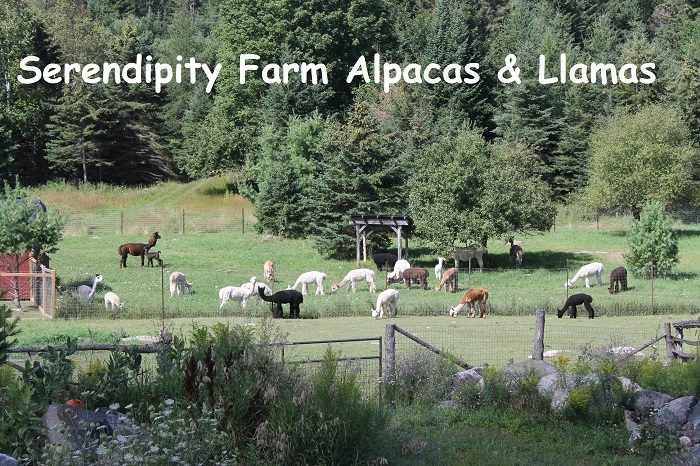 He was a strong healthy cria with a great playful temperament. Unfortunately a shoulder injury that cannot be repaired has left Murphy with a permanent limp - he is not in pain and maintains his excellent disposition and demeanor. 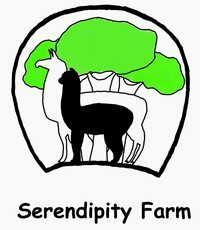 He was gelded in April 2017 and remains as a permanent Serendipity Farm Pet and Greeter!